We haven’t compromised in the quality of Hukka Xpress Alppila with its ca 800 m² – our 40 years of experience as a provider for high-class sport services is our guarantee for you. 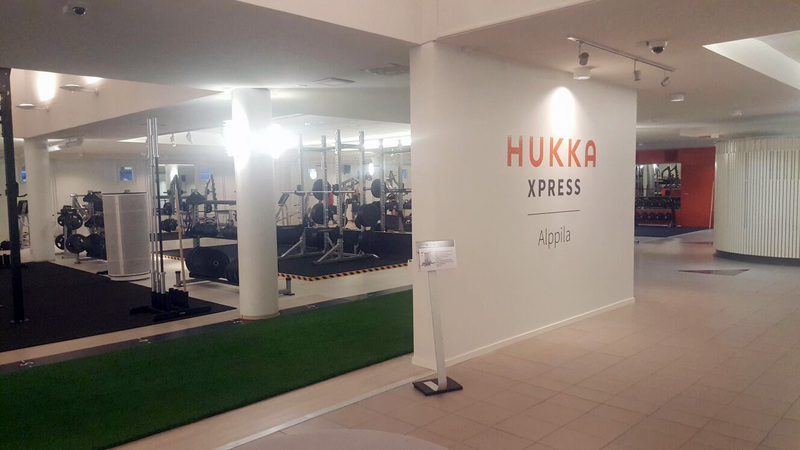 Hukka Xpress Alppila is open 24 h on seven days a week, so you can have your training whenever you like to. The trainers of Hukka give support for your fitness with everything from gym programs to long-term individual training. Even though the core of Hukka Xpress is a practical high-class gym, we take care of your comfort as well. The architecturally interesting room has a comfortable lightning, lobby room for breaks and nice dressing rooms upstairs. You’re welcome to train with us! 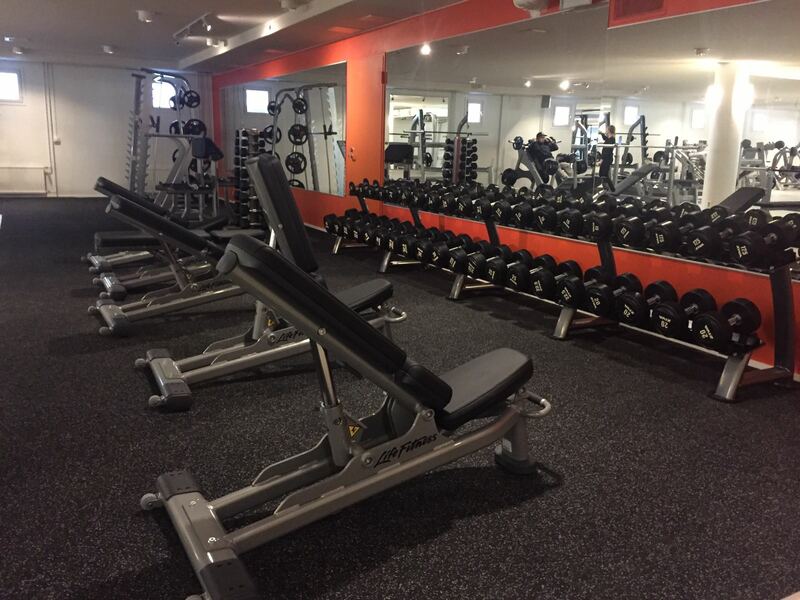 You can use both Hukka Xpress gyms with your membership card – with no extra fee! If you already are a member of the Sport Centre Hukka, see more here (in Finnish). Hukka Xpress memberships require the age of 15 years. For persons with 8–15 years we recommend the Sport Centre Hukka’s HukkaJuniori membership. If you don’t have them and want to join, we suggest our prepaid deals. 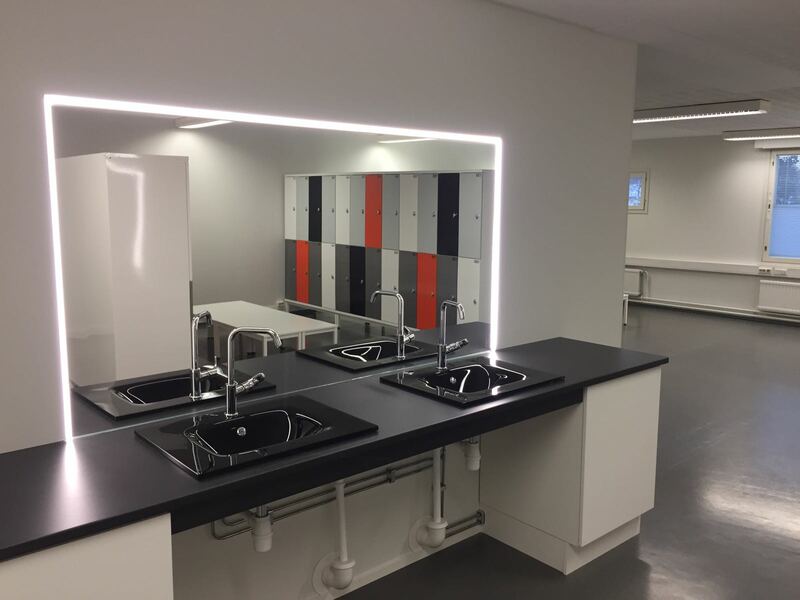 12-month contract – joining fee €18, membership fee €18/month. After a fixed-term period of 12 months, the contract continues as permanent. 12-month contract for lump sum (€216), save the €18 joining fee. At the expiry of the contract, it is up to you to decide if you wish to continue by paying the lump sum for another 12 months or if you prefer the monthly fee of €18 for a permanent contract. Enter the code Sportsvoucher (for Alppila) or SportsvoucherR (for Rotuaari) to pay any portion of the lump sum with your valid exercise vouchers, exercise cards or exercise card balance. With the OKKL Sporttipassi you get extra bonus for your membership: no joining fee, membership 15 €/month! To get this benefit please show your valid Sporttipassi at the reception of Sport Centre Hukka, when you pick up your membership card. The monthly price of 15 euros is valid as long as your sport passport you showed last time at the Hukka reception. After 12 months of temporary validity the agreement continues as a permanent agreement. This is where we inform you about upcoming small group training in Hukka Xpress Alppila. Learn more about personal training in Hukka Xpress! See more photos and videos on the Hukka Xpress Facebook page!